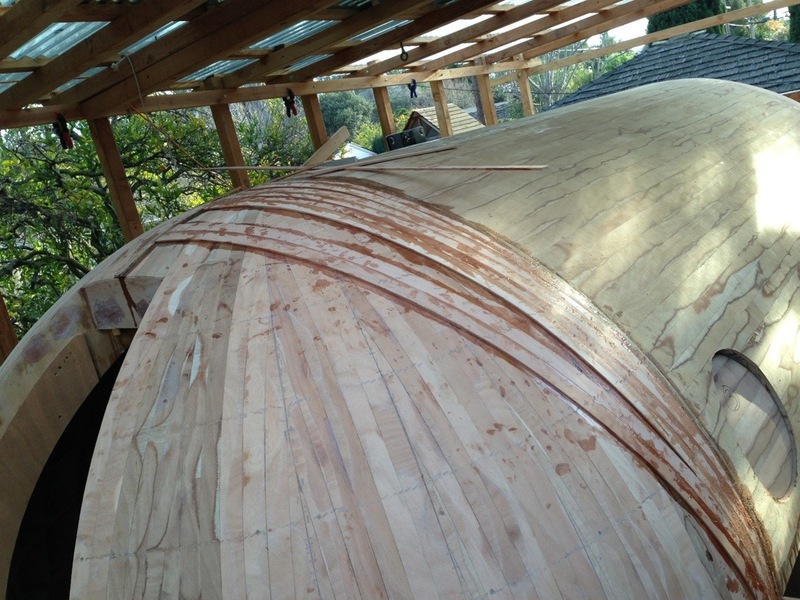 The second layer is where the hull starts to gain some strength. Even though each strip is just 1/4inch thick, when the epoxy bonds layers running in opposite directions, the compression within each plywood strip and the face to face epoxy makes it pretty strong. Nice to be getting this done.